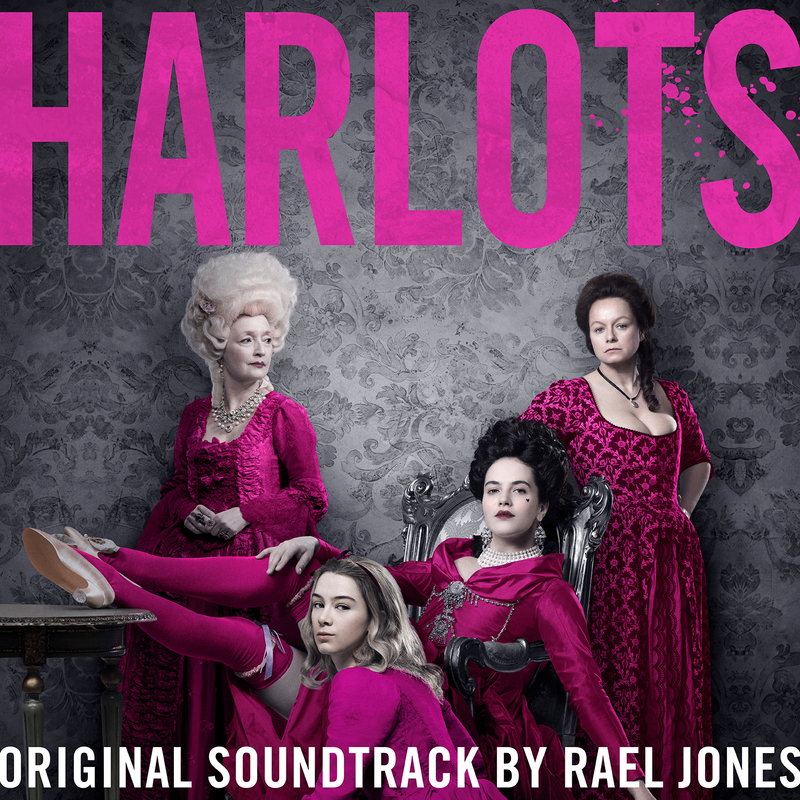 Silva Screen Records will release a soundtrack album for the Hulu original series Harlots. Digital album release of Rael Jones’s bold and anachronistic soundtrack to Hulu & ITV’s 8-part series set in the 18th Century brothels of London. The soundtrack mixes electronica and stoner rock genres, underpinning the story and reflecting the experiences and rebellious nature of the women depicted in the programme. Described by Hollywood Reporter as “intriguingly unique”, this period drama with a contemporary twist was entirely written, directed and produced entirely by women. The show was inspired by a book called Harris’s_ List of Convent Garden Ladies, a Yellow Pages-style directory that featured a list of prostitutes, their ages, price and sexual perversions. Harlots is airing on ITV Encore, the network’s channel dedicated to drama and stars Samantha Morton (_Fantastic Beasts, Rillington Place, The Last Panthers, Minority Report, Cider with Rosie), Lesley Manville (Mum, River, Maleficent) and Jessica Brown Findlay (Victor Frankenstein, The Outcast, Downton Abbey). Rael Jones is a classically trained composer and Multi-Instrumentalist. His writing stems from improvisation and live performance, and he is a highly accomplished player of many instruments – Piano, Guitars, Drums, Autoharp and Musical Saw. Rael regularly tours as a guitarist with Guillemots front man Fyfe Dangerfield, as well as with his own band Thumpermonkey. Rael’s film and TV credits include My Cousin Rachel, Suite Française, Supersonic (the feature documentary about the band Oasis), NW (the TV adaptation of Zadie Smith’s NW), the coming-of-age drama Kids In Love and the feature documentary Still The Enemy Within. As orchestrator, music producer, music editor and programmer Rael has worked on film adaptation of Les Misérables, Steve Jobs, The Danish Girl, Alan Partridge, The Inbetweeners Movie.